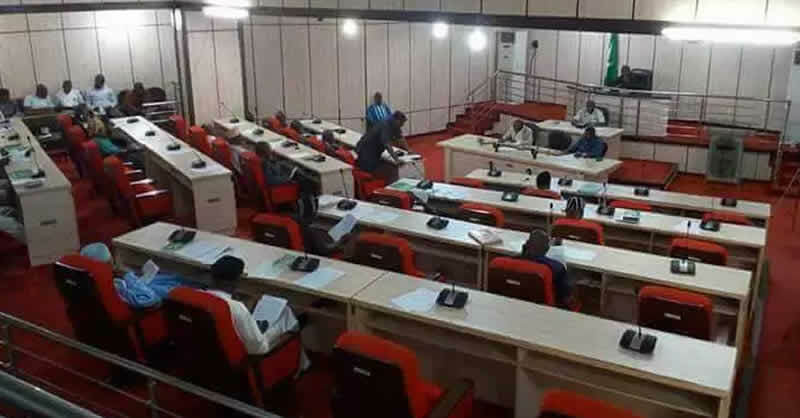 Benue State House of Assembly on Monday approved the suspension of six chairmen and two vice-chairmen of local government councils in the state for three months over alleged gross misconduct, misappropriation of funds and abuse of office. The chairmen are Austin Okwoche (Oju council), Mrs Juliana Audu (Makurdi council) and Terdoo Kenti (Kwande council), Francis Ogwuche (Okpokwu council), Mrs Beckie Orpin (Gboko council) and Mrs Comfort Echoda (Agatu council). The vice-chairmen are Andrew Orvande (Kwande council) and Joseph Ngbede (Agatu council). Governor Samuel Ortom through the Speaker of the Assembly Titus Uba had requested the House to approve the suspension of the affected chairmen and their deputies in response to the petitions against them by the councillors of their councils. According to the governor, his request was based on the state Attorney General and Commissioner for Justice Michael Gusa’s advice that the action was necessary for the allegations levelled against the council bosses to be investigated. He said the action taken was in compliance with the Benue State Local Government Law.